The Mill Avenue District is the 2nd most visited attraction in all of Arizona (just behind the Grand Canyon)! Maybe that is why so many people, of diverse ages and backgrounds, are choosing to make Downtown Tempe the place they call home. From the waters of Tempe Town Lake, to the bistros of Mill Avenue, to the easy access to the Metro light rail and Sky Harbor Airport, to the Arizona State University campus with close to 60,000 students… Downtown Tempe has established itself as the place to be for anyone seeking an eclectic, vibrant urban lifestyle! 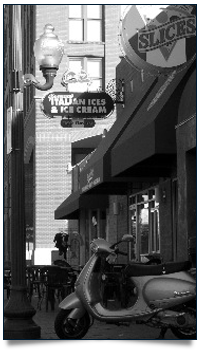 Visit www.MillAvenue.com for information about the Mill Avenue District brought to you by the Downtown Tempe Community. Contact us for more information about properties offering the urban lifestyle in Downtown Tempe.